If you follow me on Instagram, you'd know that I got a lot of Bobbi Brown makeup as gifts. The most recent is the Twilight Pink Lip and Eye palette from my Mom which I'll be showing you soon. 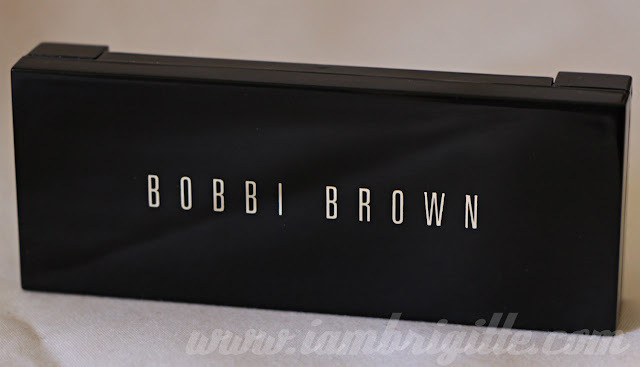 But for today, let me tell you about this amazing and probably the most portable 10-eyeshadow palette I have to date…the Bobbi Brown Sequin Shimmer Eye Palette. 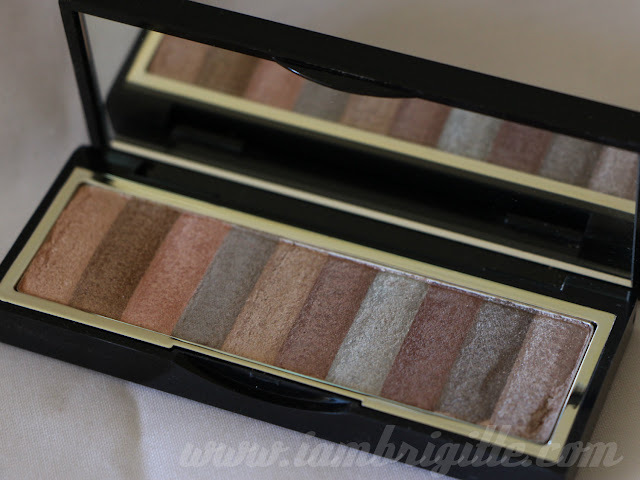 If you love the brand's shimmer brick compact for the face, I'm sure you'll love this shimmer brick created especially for the eyes, which is also a part of their Gift Giving Collection for 2013. It has a spectrum of 10 shimmering shades that impart a soft wash of pearlescent colours packaged in a slender, mirrored compact which is only a little over 4-inches long and probably an inch-wide. It's so compact, it won't take too much space in your makeup kit! This palette has 10 shimmery, mostly neutrals that you can use individually, blended together or you can also swipe your brush across all shades. With the colour range, it's almost impossible to go wrong in coming up with a colour combination. They are really shimmery, but still very wearable. 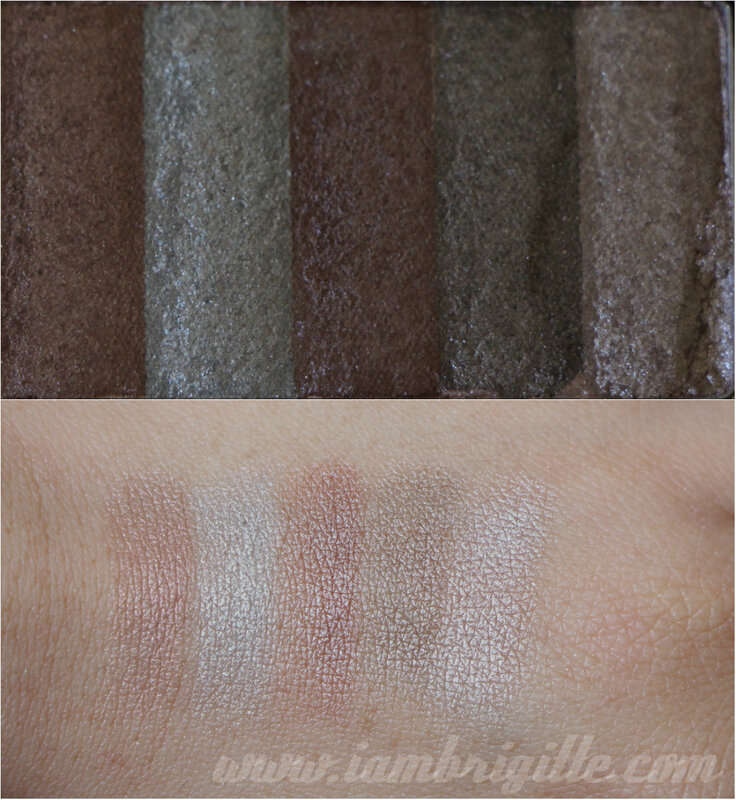 They are pigmented, you won't even need an eyeshadow primer to make the colours pop. Amazingly, no fallouts too! Some may find each block of colour to be too small for their brushes. If you do, you might want to swipe your brush against the block sideways or at an angle. I'm using my MAC 239 and 217 with this and I'm not having any problems. 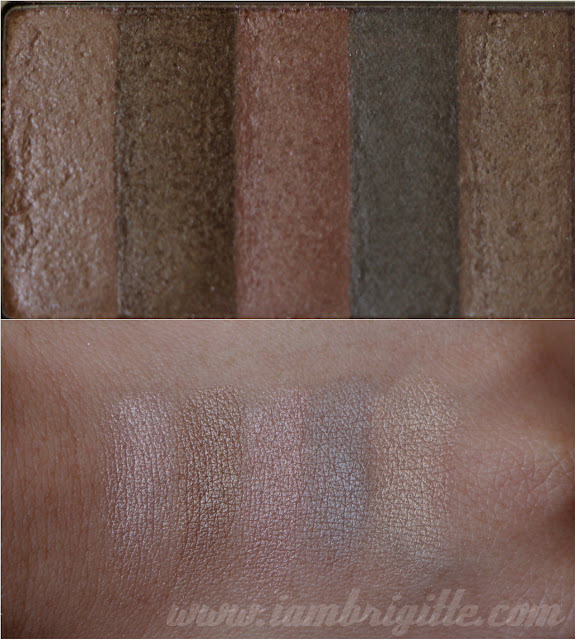 I love this palette, but I do wish it has one thing included in it. No, not a brush because I don't really use brushes that come in makeup palettes unless it's a full sized or a decent travel-sized brush. I do wish it comes with at least one dark shade in matte finish for adding depth to the eye makeup just because I find shimmery shades used on the outer-V to be blah. Do you do too? 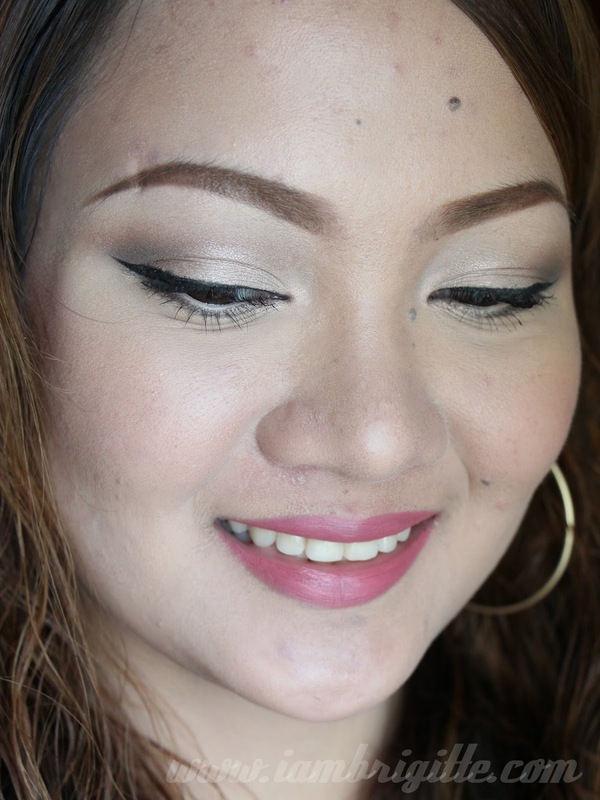 I used #5 on the lid, #8 on the outer-V and crease and a matte medium brown (from another eyeshadow palette) to add more definition on the outer-V. Some may be put-off with the shimmery, frosty finish of the colours but if you like playing with textures or you simply like shimmers (Bobbi Brown makes the most wearable shimmers, IMHO) then this is for you. 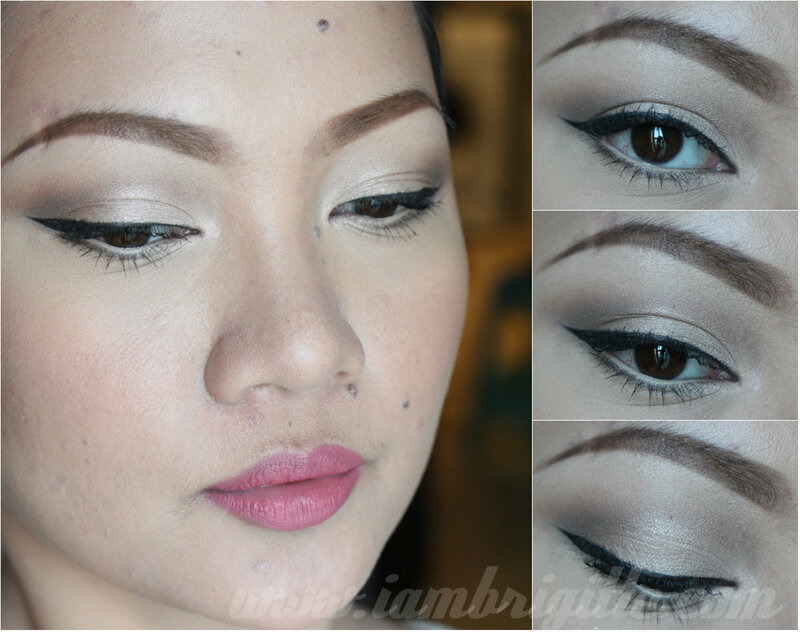 I personally prefer shimmery eye makeup while keeping the rest of my face matte so this one's a definite winner for me. By the way, be extra careful when swiping your brush against the blocks, I find them easily cracked when you apply too much pressure. As you can see on the photos above, mine has a few cracks already. So be extra careful!